I think that last point is especially important. The Giants could limit their long term liability and give the talented former Walgreen a fair contract worth a bazillion per season but keep it short-term. As for the luxury tax I’m thinking the benefits of having a player like Harper on your roster outweigh the negative and just think, in that off chance the Giants surprise the world and contend, Harper could be a difference-maker. At the very least he is an exciting and talented player who is super fun to watch, regardless of what one thinks about his personality. 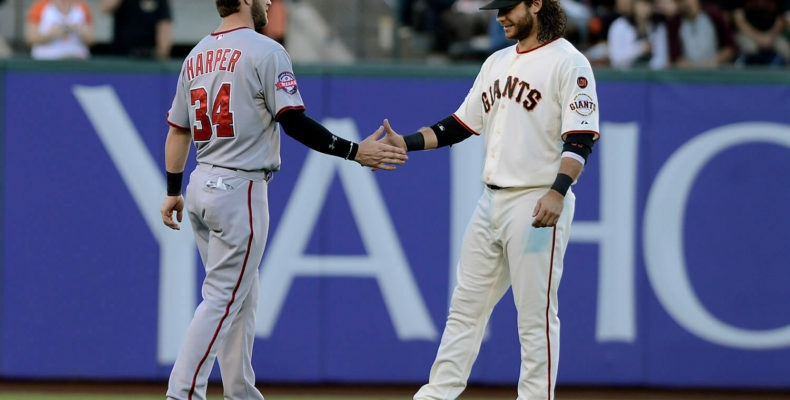 Dieter Kurtenbach of the Mercury News lists quite a few reasons why the idea is terrible but I think he is missing the main point: The Giants desperately need an infusion of young outfield talent and Harper, for all his flaws, is easily one of the best ten players in the game. Let’s not lose sight of that obvious fact.